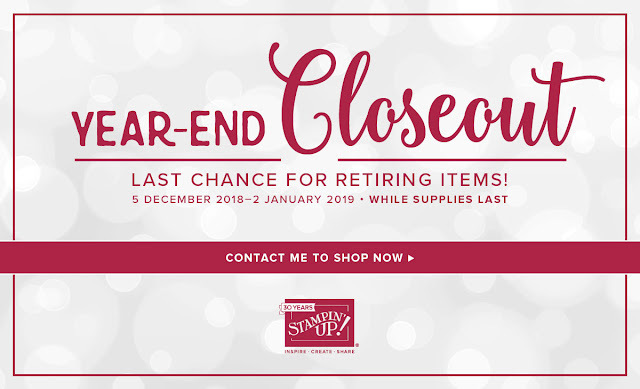 The Year-End Closeout is our chance to do a little inventory cleaning—and your opportunity to take advantage of special year-end deals on retiring and surplus items. A last chance to save on select items. Remember: Some items are last-chance and limited-inventory, so remember to place your orders while supplies last! Click here to see the list of items or the link to purchase online. All order types qualify for this promotion (e.g. customer, demonstrator, workshop, and online). Retiring items from the 2018 holiday catalogue are available while supplies last. Surplus items from 2018 annual catalogue are available in limited quantities at the promotional price.